GAG is short for Glycosaminoglycans. Normally, the inner wall of the bladder is coated with GAGs that are secreted from cells of the bladder lining. Like other organs, the bladder's inner surface is lined with epithelial cells. 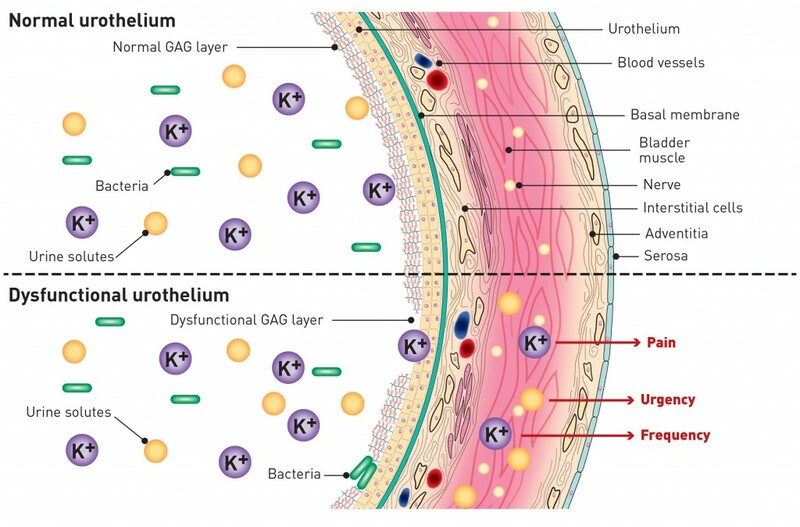 This mucus-like layer or GAG protects the epithelial cells, by preventing acids and toxins in the urine from coming in contact with this layer of tissue. 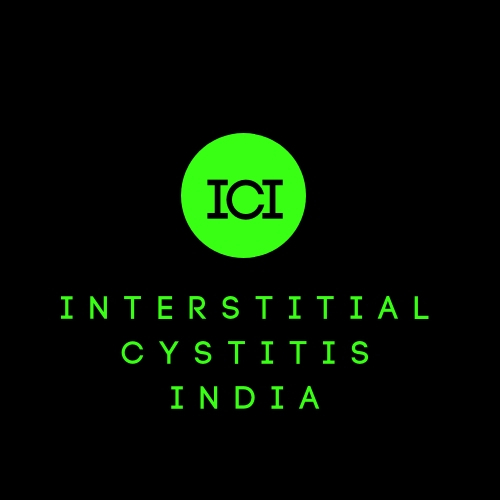 When a person has interstitial cystitis (IC), these epithelial cells become irritated and inflamed. Areas of pinpoint bleeding called glomerulations, or larger sores, called Hunner's ulcers, may appear in the lining of the bladder. 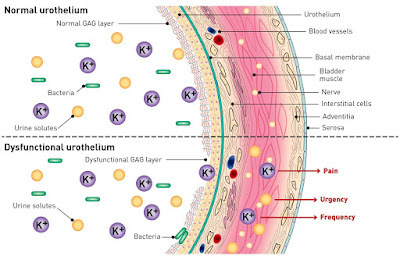 The cause of IC remains unknown; however, some researchers speculate that when the protective GAG layer of the bladder gets disrupted in some way, allowing substances in the urine to irritate the underlying epithelial cells it may cause burning and urgency. When the GAG layer is damaged, the bladder lining is no longer protected from urine and the waste products contained in it. The delicate epithelial cells are exposed to urinary toxins that may cause burning. The bladder would probably try to rid itself of the burning urine as quickly as possible through spasms. As the epithelial cells of the bladder wall are damaged, they may become scarred and stiff. This makes the bladder less flexible and less able to expand. In some cases, the nerves in the bladder wall may also be irritated or damaged, prompting the urge to urinate more frequently. An unidentified infection, possibly a viral infection, may disrupt the GAG layer or damage the wall directly. Some substance in the urine may be causing the damage. 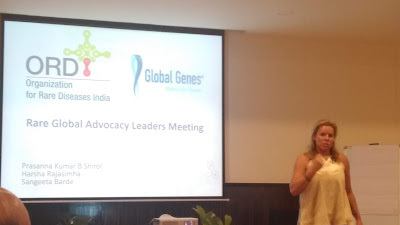 Free radicals, environmental toxins, certain foods, bacterial toxins and certain drugs (e.g. antibiotics and radiation) may contribute to GAG and epithelium damage in the bladder. After initially responding to a bladder infection, the body's immune system may have begun to attack the bladder's tissues or the GAG layer. Stress may play a role, it can suppress the immune system, allowing pathogens to take hold and cause damage. Moreover, dietary absorption of nutrients may be reduced, potentially reducing the availability of raw materials for the GAG layer. Immune system cells, called mast cells, have been found in higher concentrations in the bladder walls of a patient with IC. These cells release histamines, which may be partly responsible for the inflammation of the bladder wall. GAG replenishment therapy has shown promise for interstitial cystitis relief in a few studies. Intravesical (directly into the bladder) administered hyaluronic acid or a hyaluronic acid-chondroitin sulphate combination seem to be effective. Aloe vera or slippery elm may bring some relief and protection to the bladder lining in the absence of a functional GAG layer. However, they will not repair the GAG layer. Eating a nutritious diet can help supply the raw materials needed to make a strong GAG layer. Removing toxins and irritants may help to reduce further damage and irritation. Hi, I can understand. This is a niche area but am thankful that you took out time to read. We are trying to raise awareness and if you read then our purpose is served. Thanks once again.